PCR Tube Box is used for keeping PCR Tubes. Top & base of this rack are made of tough & transparent polycarbonate while the middle portion is made of polypropylene. The tube holding spaces are uniformly placed so as to facilitate the use of multipipettes. These racks can be stacked together to save shelf space. 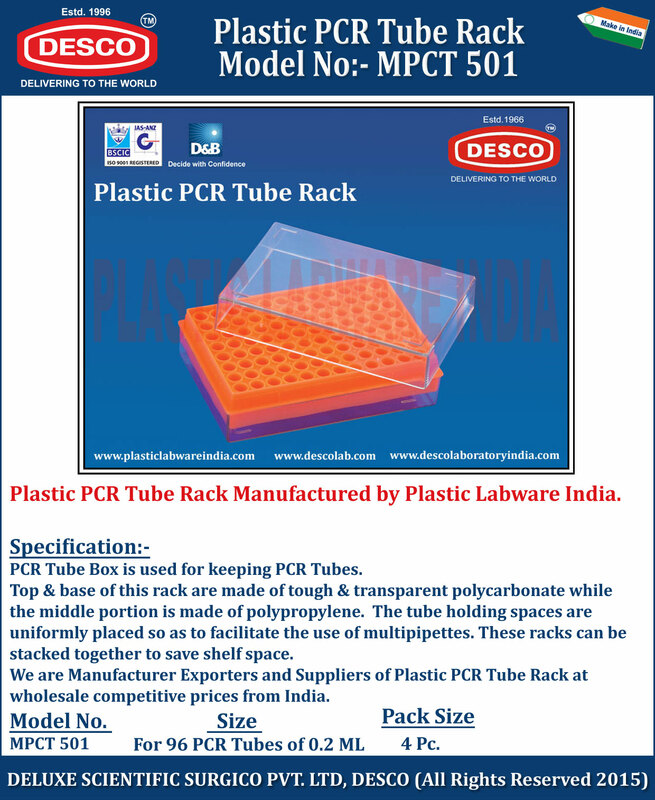 We are Manufacturer Exporters and Suppliers of Plastic PCR Tube Rack at wholesale competitive prices from India. MPCT 501 For 96 PCR Tubes of 0.2 ML 4 Pc.